Many people don’t have the finances or time to meet with an attorney. While most attorneys’ provide legal advice on a daily basis, some go the extra mile and answer legal questions for people who cannot afford an attorney or consultation fees through programs, such as NC Free Legal Answers. Robin Stinson has practiced in Winston-Salem and surrounding counties for more than 34 years. Robin joined Bell, Davis, & Pitt, P.A. in 1997, focusing her practice in family and alternative dispute resolution including mediation, arbitrations, and parenting coordination. 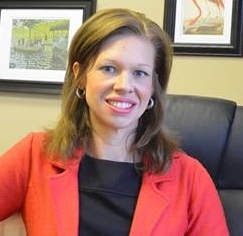 Her passion for family law led her recently to begin work with NC Free Legal Answers. Robin spends her free time answering questions related to family law, i.e., the procedure for filing and prosecuting a pro se complaint for child custody or visitation for lower middle class and indigents who cannot afford legal services in the general market. NC COA Case Summary: Termination of Parental Rights, In re D.A. Respondent-Mother and Respondent-Father both appealed the trial court’s order terminating their parental rights. Both parties’ attorneys filed “no-merit” briefs with the Court of Appeals pursuant to Rule 3.1(d). Respondent-Mother’s attorney complied with all requirements of Rule 3.1(d), including sending Respondent-Mother complete copies of the record on appeal, the trial transcript, and informing Respondent-Mother of her right to file a pro se brief. Since Respondent-Mother failed to file a pro se brief, her appeal is dismissed. In his “no-merit” brief, Respondent-Father’s attorney acknowledged his inability to locate or otherwise communicate with Respondent-Father. Respondent-Father refused to testify to his address at trial, and his attorney was unable to locate him post-trial. As a result, Respondent-Father’s attorney was unable to fully comply with Rule 3.1(d), including sending Respondent-Father the record on appeal, trial transcript, or informing him of his right to file a pro se brief. These facts present an issue of first impression for the Court: interpreting the mandatory language of Rule 3.1(d) when a client refuses to inform his attorney of his whereabouts, hindering his attorney’s ability to comply with Rule 3.1(d). Here, Respondent-Father’s attorney was “constructively discharged”; however, given the constitutional rights at issue in a TPR case, these situations must be analyzed on a case-by-case basis. Due to the “exhaustive efforts” made by this attorney, it is appropriate to invoke Rule 2 to suspend the mandatory service requirement in Rule 3.1(d). And, since Respondent-Father did not file a pro se brief, his appeal is dismissed. https://ncbarblog.com/wp-content/uploads/2018/06/Blog-Header-1-1030x530.png 0 0 FamilyLaw https://ncbarblog.com/wp-content/uploads/2018/06/Blog-Header-1-1030x530.png FamilyLaw2018-11-06 22:41:242018-11-07 10:57:54NC COA Case Summary: Termination of Parental Rights, In re D.A. Defendant–mother appealed from a custody modification order that set aside a prior custody modification order. Because the trial court took no evidence at the hearing and failed to make the proper analysis before modifying the prior custody order, the Court of Appeals vacated the custody modification order and remanded the case to the trial court. There are two issues to note in this appeal: First, the Court of Appeals does not comment upon or engage in any analysis of whether the orders in the case are temporary or permanent in nature. The Court seems to assume that the orders are permanent, because it cites the two-step modification analysis for a permanent order (substantial change in circumstances/best interests). Second Judge Dillon dissents in part from the Court’s opinion concerning which of the parties’ prior custody orders should be in effect pending further hearings on the matter. My first attempt at leaping into the unknown was when I switched careers from meeting deadlines for one editor to meeting deadlines for an attorney, a clerk and a client. My organizational and writing skills were the pillars that held me steady during my time at the public defender’s office. I learned about criminal law and the inner workings of the courthouse, and the unknown became familiar. A couple of leaps forward landed me in Raleigh. And soon, the unknown became familiar. That’s why I am planning to attend the Paralegal Division Family Law CPE on March 23 at the Bar Center. I will admit it. The closest I have been to family court is a courtroom observation during my paralegal days. So, this seminar is pretty exciting for me. 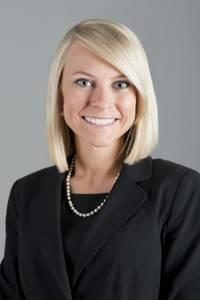 Jessica B. Heffner is a 2013 graduate of the Norman Adrian Wiggins School of Law at Campbell University. She practices with Wyrick Robbins Yates & Ponton LLP in Raleigh, NC. Q: What kind of law do you practice? A: My practice includes all aspects of North Carolina family law including absolute divorce, child custody, child support, property division, spousal support, separation agreements, postmarital agreements, and premarital agreements. Q: What do you like best about your practice? A: I enjoy practicing family law because it allows me to work with individuals. Family law requires a great deal of client contact—in person, over email, and/or over the phone. It’s a practice area where you interact with clients every working day. Also, every family law case is unique and challenging in its own way. As members of a “learned profession” we are challenged to consistently study and expand our knowledge of complex and evolving issue—it keeps my day to day job very interesting and rewarding.